Contents. List of Contributors. Preface (E.E. Bittar and N. Bittar). Proteins: An Introduction (N.M. Allewell, V.J. Licata, and Xiaoling Yuan). How Enzymes Work (G.L. Nelsestuen). Substrate Utilization in Mammalian Cells (G.J. van der Vusse and R.S. Reneman). The Organization of Metabolic Pathways In Vivo (G.R. Welch). Enzyme Kinetics In Vitro and In Vivo: Michaelis-Menten Revisited (M.A. Savageau). The Basis of Enzymatic Adaptation (K.B. Storey and S.P.J. Brooks). Our Aquesous Heritage: Evidence for Vicinal Water in Cells (W. Drost-Hansen and J.L. Singleton). Our Aqueous Heritage: Role of Vicinal Water in Cells (W. Drost-Hansen and J.L. Singleton). Intracellular Water and the Regulation of Cell Volume and pH (H.G. Hempling). Protein Synthesis and Regulation in Eukaryotes (S.I.S. Rattan). The Role of Glycosylation in Cell Regulation (E.F. Hounsell). Why are Proteins Methylated? (S. Clarke). ADP-ribosylation Reactions (C.K. Pearson). Modification of Proteins by Prenyl Groups (M.H. Gelb). Lipobiology (D.A. Ford and R.W. Gross). Index. 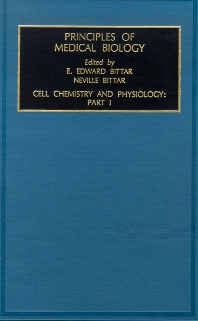 This is the first of a 4-volume module that is an introduction to the study of cell chemistry and physiology. It is not intended to be encyclopedic in nature but rather a general survey of the subject with an emphasis on those topics that are central to an understanding of cell biology and those that are certain to become of increasing importance in the teaching of modern medicine. We have followed what appeared to as to be the logical divisions of the subject beginning with proteins. Allewell and her colleagues stress the point that proteins fold spontaneously to form complex three-dimensional structures and that some of them unfold with the help of proteins called chaperones. Michaelis-Menten kinetics are shown by Nelsestuen to describe the behaviour of enzymes in the test tube. The formalism is particularly useful in the search for agents of therapeutic value, as exemplified by methotrexate. Uptake by mammalian cells of substrates and their metabolic conversions are discussed by van der Vusse and Reneman. However, both Welch and Savageau expound the view that the cell is not simply a bagful of enzymes. The biologist is urged by Savageau to abandon Michaelis-Menten formalism and apply the Power Law. The biologist is also told that the approach to arriving at a theory of metabolic control would have to be one of successive approximations requiring the use of the computer. Information gained from comparative biochemistry is shown by Storey and Brooks to have shed new light on mechanisms of metabolic rate depression and freeze tolerance, and to be applicable to organ transplantation technology. We are reminded that enzyme adaptation is partly the result of the presence of a hydrating shell of vicinal water that stabilises conformation of the enzyme. Vicinal water, according to Drost-Hausen and Singleton, lies adjacent to most solids and protein interfaces. The kinks or breaks observed in the slope of the Arrhenius plot are attributed to structural changes in vicinal water. Regulation of cell volume is shown by Hempling to involve regulation of cell water. It could be that the osmo-receptor or volume detection system is a protein that links the cytoskeleton to specific K and C1 channels. Additionally, it is interesting that aquaporins, which are water channel-forming membrane proteins, are now known to exist in both renal and extra-renal tissues. One of the renal porins is affected by vasopressin. We then pass on to protein synthesis (Rattan) and other important topics including protein glycosylation (Hounsell), methylation (Clarke), ADP-ribosylation (Pearson) and prenylation (Gelb). Among the four types of lipids attached to membrane proteins are the prenyl groups. Ford and Gross in their chapter on lipobiology drive home the point that there is an accumulation of acyl carnitine and lysophospholipids during myocardial infarction.